The New Year is upon us, and with it, a rash of predictions about what the next 12 months will bring for the research industry, often with little accuracy. I was relieved to see that no industry analysts predicted 2016 to be the “year of mobile”….again. Rather than focus on specific tools or technologies that will “revolutionize” marketing measurement, I look at greater business trends, which have a broader application and are more thematic in nature. Trends are also more inclusive. 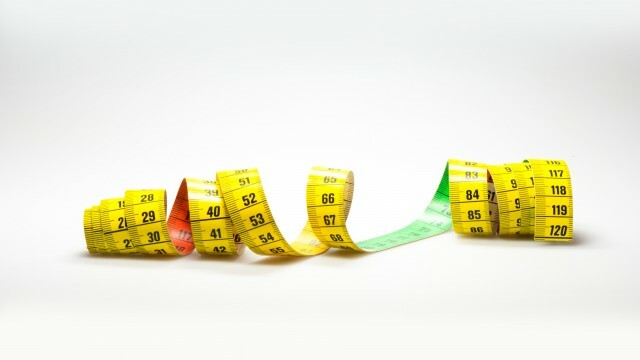 They allow us to connect the dots between brands and consumers in a way that can ultimately drive new measurement practices. The first is the idea of simplification. As researchers we have a bad habit of making things more complex than they truly need to be. Want to gauge customer satisfaction? Rather than asking what we really need to know, as Expedia does (one question – happy face/sad face), we labor to design a 45 minute survey that digs into every minutia of the buying experience. Does that additional 44 minutes really generate greater insights? It’s most likely that respondent engagement and, subsequently, data quality, suffer. Simplification also wears other hats. From virtual reality (which when introduced by Lieberman Research Worldwide a few years back was scoffed at, only to become the darling of every research conference) to video driven interviews and incentive delivery via mobile devices to gamification. As researchers we don’t think of these methods as “simple” because it involves doing things differently. But from an engagement perspective we have a myriad of opportunities to connect with consumers in more interactive ways that make the research process infinitely more rewarding. This also goes for how we interact with clients. Rather than delivering lengthy reports that struggle to speak marketers language, interactive data visualization and reporting systems now offer us the ability to tie market research directly to business KPI’s – and to do so in real time. Don’t discount the importance of simplification. One of my favorite presentations of 2015 was delivered by Vesselin Popov of Cambridge University at IIEX North America. Popov is predicting psychological traits from digital footprints of behavior and he spoke about the potential for computerized approaches to entirely replace traditional, survey-based research. This is academic research ‘in the wild’ but when applied in a business context, the result is a more personalized experience for customers, deeper insight for clients and a collaborative dialogue between brands and their audience. Popov’s presentation was wildly unpopular for a marketing measurement conference and prompted a fair amount of debate over efficacy. That said, we’d be unwise to turn a blind eye toward passive measurement techniques. Companies like Affinio, who mine social media relational network connections and Networked Insights, who are using social data to predict Hollywood box office revenues before opening weekend, demonstrate that this trend is growing. The sooner we embrace secondary data streams as the new normal, the sooner we can effectively measure them. Lastly, developing more agile processes with which to conduct research and deliver feedback is imperative to the long term survival of our industry. Lean Startup techniques and agile development have captured the hearts and minds of pretty much every Silicon Valley mega-brand and growth hacking wonk, yet have been largely ignored by market researchers. Our “build – test – learn” cycle is horrifyingly slow, primarily driven by our dated data collection methods. Moving to a more iterative design process that takes hours vs days and adopting on-demand research tools that shorten the data collection cycle accordingly will in turn drive more immediate learnings and shorten feedback loops. From Google’s “micro-moments” campaign to Zappistore’s automated self-service research marketplace, we have more opportunities than ever to embrace agile research methods. Am I making this study more complex than it needs to be? Could the complexity ultimately be detrimental to respondent engagement? Am I considering data sources, other than primary research data, which may provide less expensive and more actionable insights to my clients? Am I delivering insights in a period of time such that I can deliver immediate impact for my client through feedback loops or KPI performance? If the answers to any of these questions don’t support keeping research simple, taking alternative data sources into consideration or enabling the delivery of timely insights, then you’ve successfully illuminated some opportunities for change. What are your themes for 2016?